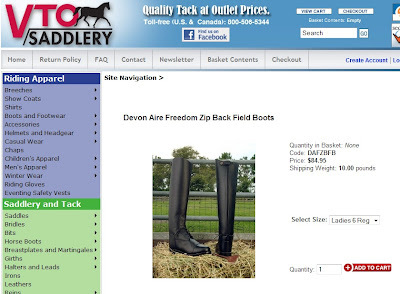 How, in my exhaustive search of tack stores on the Web for Devon Aire Freedom boots, did I not NOT search VTO Saddlery? I love that store. Mein liebchen. Mon petite chou. While it's a shame I found them AFTER I'd replaced my old Devon Aires, I can't resist my beloved boot that looks great and feels great for everyday. I have placed an order and will soon have three tiers of boots. The Devon Aires for general barn wearing, schooling, lessons. The Mountain Horse boots when I need to look a bit nicer, or when it is too rainy/muddy for the Petries. I am truly blessed, bootwise. For those of you who are old enough to remember Imelda Marcos and her closet full of shoes, I think I'm channelling a little Imelda these days. A little Imelda, and a little Nancy Sinatra. I, too love that store. I bought my Ariat Maestros there last winter. Any time I need a specially sized item, or something hard to find. Boom, there it is at VTO. They do a great job. And ... you gotta love their shipping prices!!!!! Now I am "into" Skechers Shapeups. 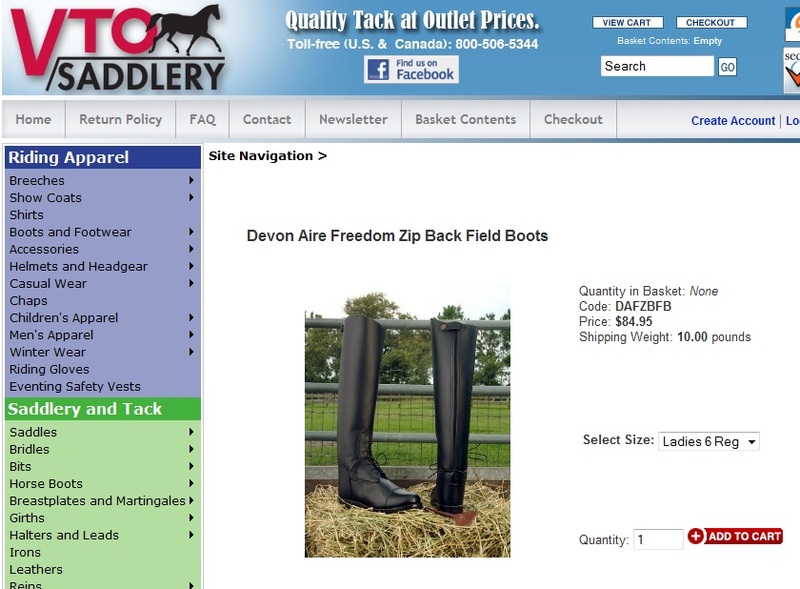 Riding boots...well Mountain Horse and....uhm...I have three tall pairs. Congrats on finding the boots you love. I remember your fruitless search a while back. Great to discover there were still some out there. Isn't that always the way? After you have already "settled" for something else. At least they were on sale. Well, the Devon Aire Freedoms are very sparsely available -- would have gotten several backups if I could have. RiderWriter, this post is a little old (I write in advance), my cc statement says $64. The slims I got are somehow not as slim as my original pair, but still okay. The footbed is pretty true to size. 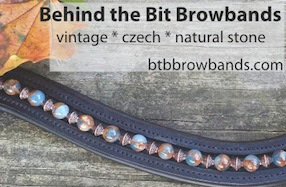 Check ebay, they sometimes do have them, and Ovation boots may be similar -- never saw them in person.